The hottest address in South Beach, converted to 2/2 luxury, ocean view balcony, two walk-in closets, tile floors, 2 full updated baths , building offers too many amenities , home to STK restaurant, roof top outdoor lounge, ocean front pools ( with towel and chair service), beach concessions, valet parking, rent 12 times per year, high demand building, between "Gansevoort Hotel" and "W Hotel"Within walking distance to all restaurants and entertainment South Beach has to offer from this Oceanfront Luxury Condo. Maintenance fee includes: internet, basic cable & valet parking. Pets OK. Owner will finance up to 50% !!!! 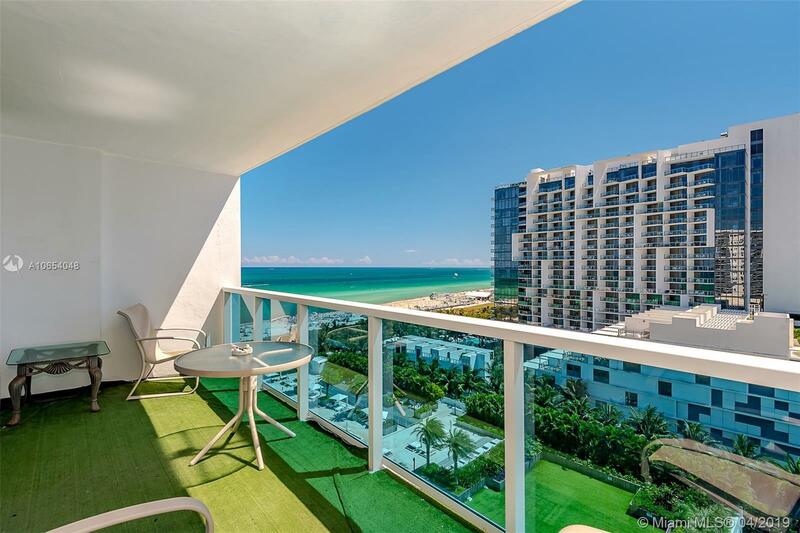 Great opportunity at the best South Beach location !! !